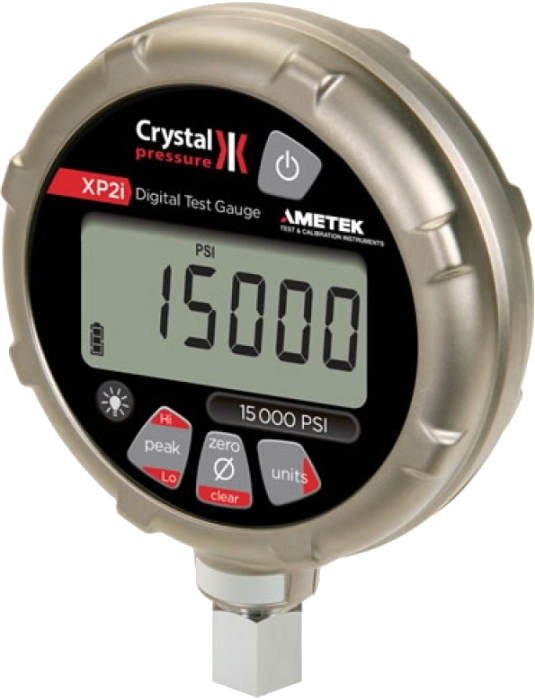 The world's most popular test gauge is IECEx and ATEX certified for zone 0 (gas) hazardous areas and measures from vacuum to 15000 PSI at up to 0.02% accuracy. 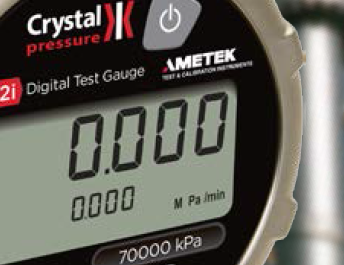 The intrinsically safe, ultra tough, XP2i digital test gauge is a true industry standard; trusted worldwide from offshore platforms to the harshest deserts and found wherever reliable accuracy or rugged durability is demanded. 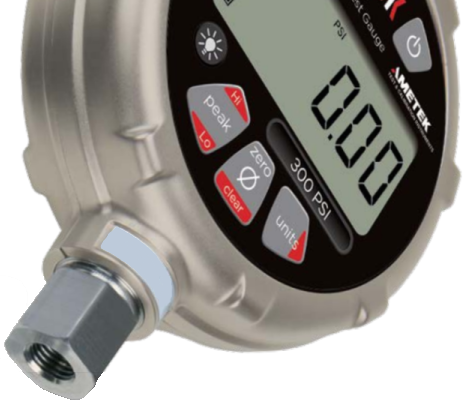 Highly flexible and configurable, the XP2i is available with a choice of accuracies, an optional rear pressure port and flange adapters for panel mounting, or a dual-line display to show tare, peaks, average, leak rate or differential pressure when connected to a second gauge. 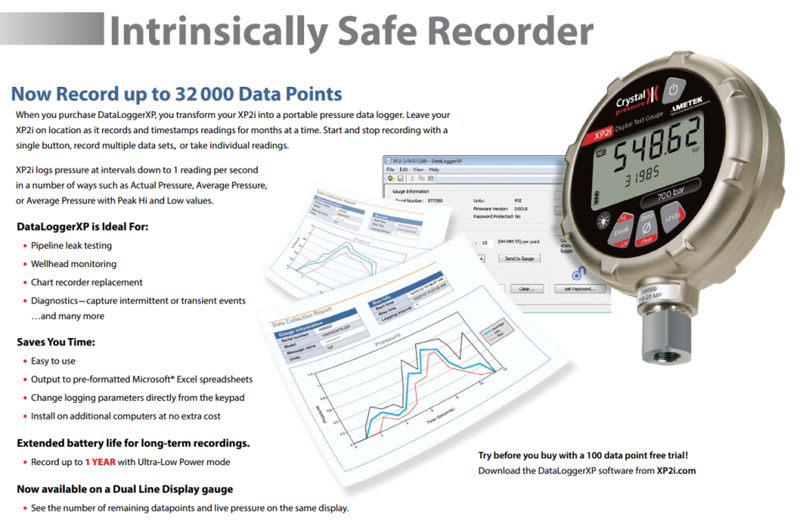 The XP2i also transforms into a 32000 point data logger with the DataLoggerXP firmware upgrade and software. Every XP2i comes with an A2LA (an ILAC MRA partner) accredited calibration report to ISO / IEC 17025 (NATA equivalent) standards, showing data over the full temperature compensated range of -10 to +50°C. 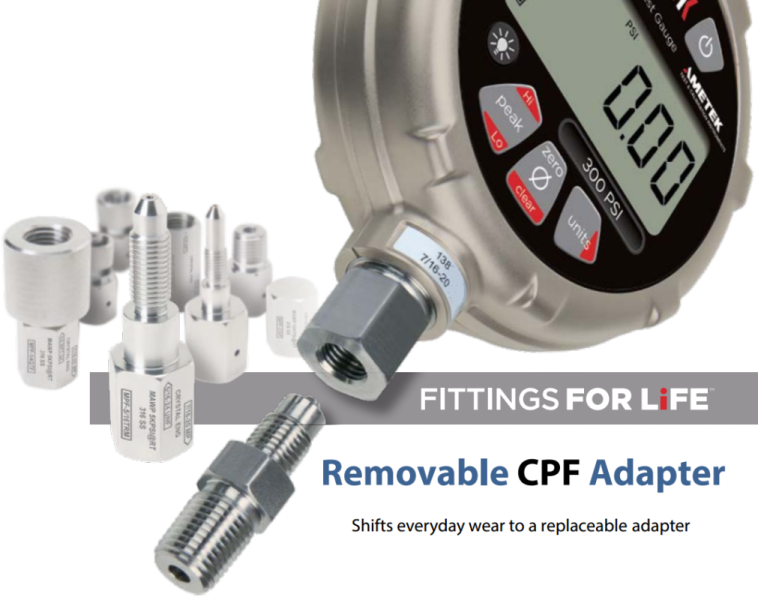 With automatic calibration reminders and alerts, get alerted prior to, on, or after the gauge’s calibration due date, and set the types of alerts from a start-up to a continuous flashing warning. Can I use any type of AA battery with this device? If you are using the XP2i in a potentially hazardous area, per the certificate only the following battery types should be used: Rayovac Maximum Plus, Energizer E91, Energizer EN91 or Duracell MN1500. 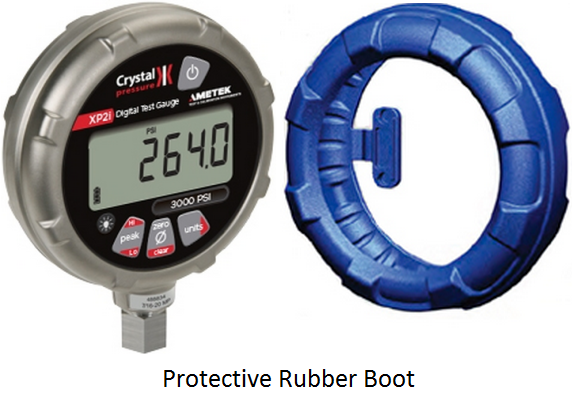 If your location does not have any hazardous areas, then the XP2i can be used with any AA (LR6) battery. 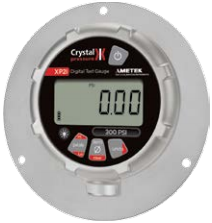 I have a Crystal XP2i. I need a connector, from the Crystal gauge to a Ralston hose. What is the correct connector? 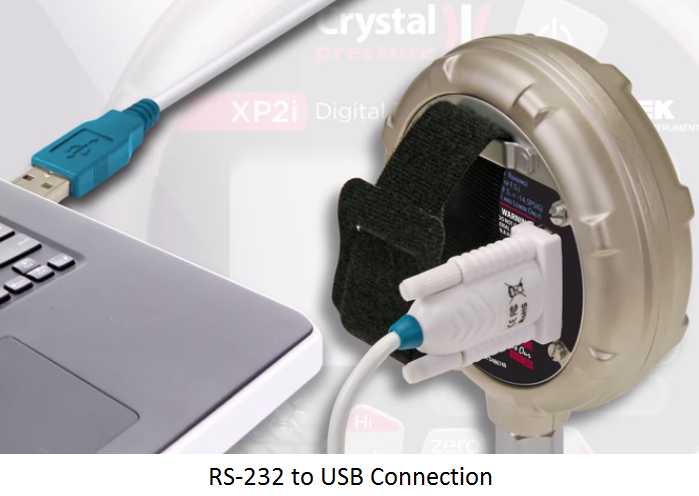 The correct connector is the Ralston QTHA-2MSO-MP, which will adapt any Crystal XP2i Gen 2 or later gauge directly to a Ralston female thread fitting or hose.